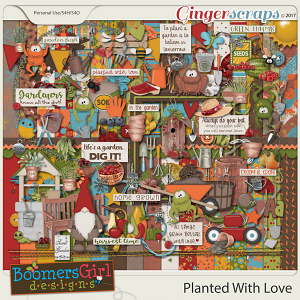 Life can be so serious. 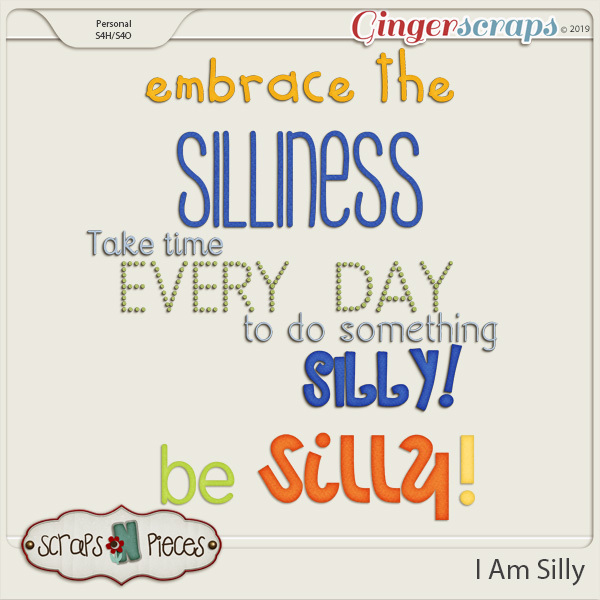 Sometimes you just have to cut loose and be a little ridiculous. 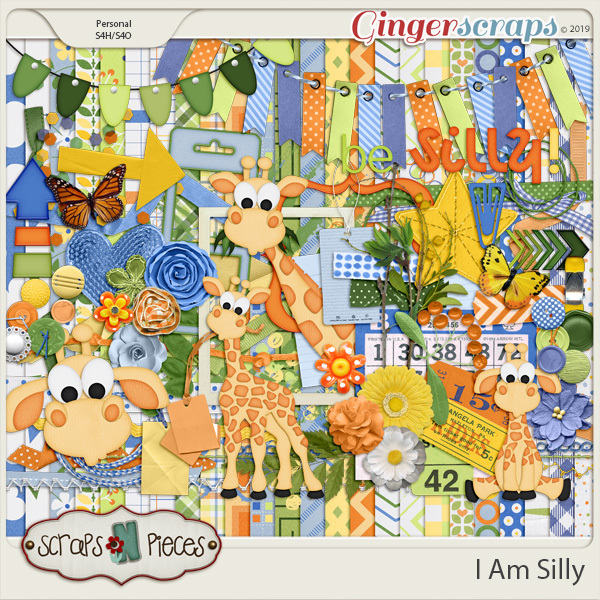 I Am Silly celebrates those little moments with the big giggle factor that makes life more fun! 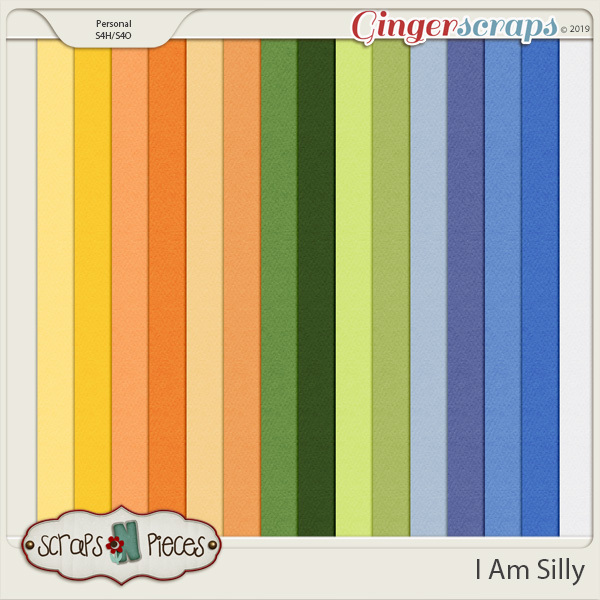 The playful color palette feels like a good laugh – bright poppy oranges and yellows, cool blues, and some greens to help keep you on your toes. 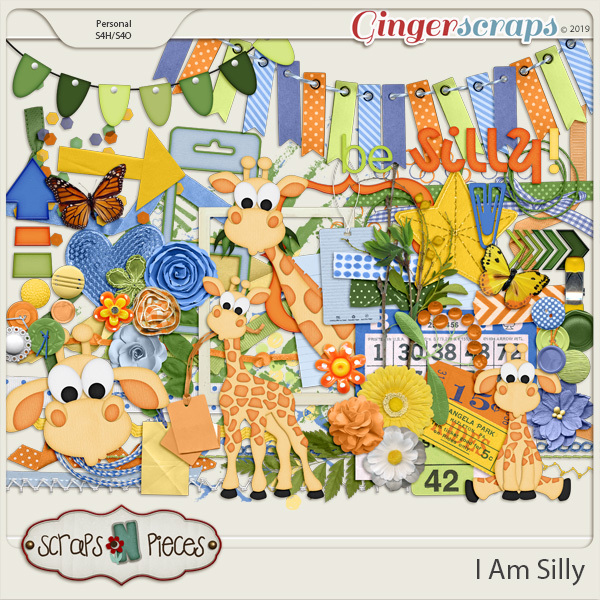 The elements are perfectly versatile, encompassing banners, ribbons, flowers, ephemera, and silly giraffes guarantees to elicit a chuckle. 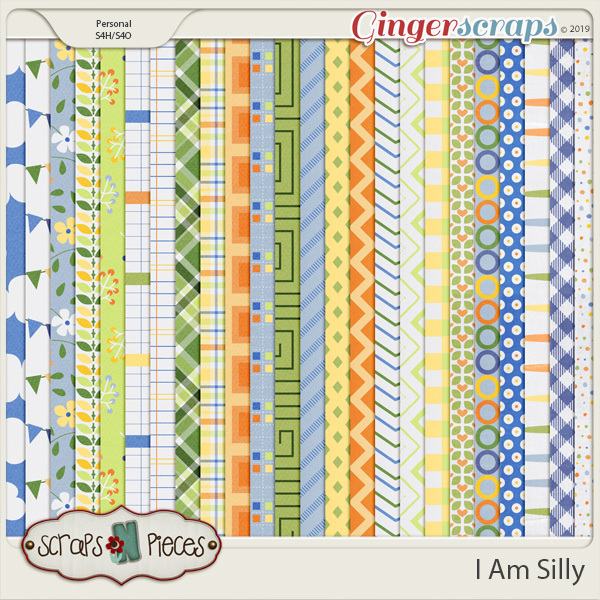 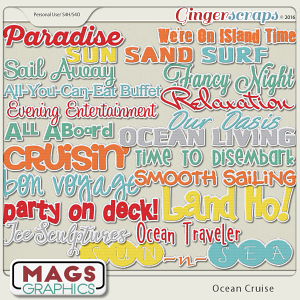 The coordinating papers are playfully patterned, the alpha is a little bit off-kilter, and the word art is perfect for reminding you to indulge in a little silliness. 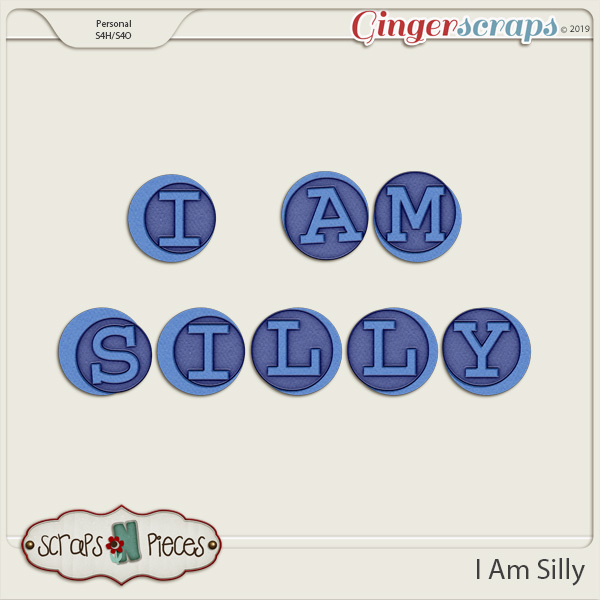 So break out of the day-to-day doldrums and get your fun on with I Am Silly. 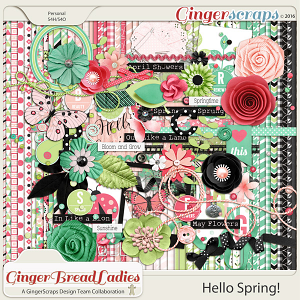 This is our April 2019 Buffet bundle. 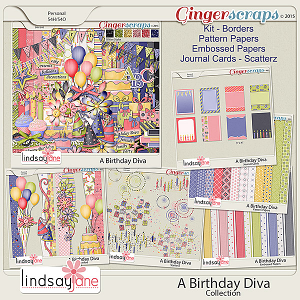 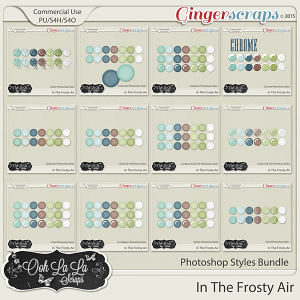 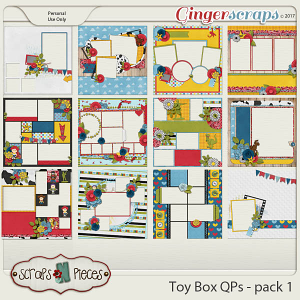 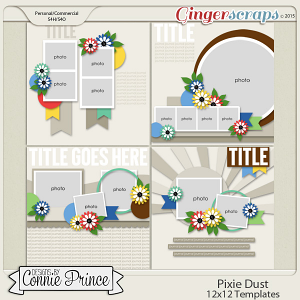 Bundle includes everything except CU giraffe templates and CU page templates. 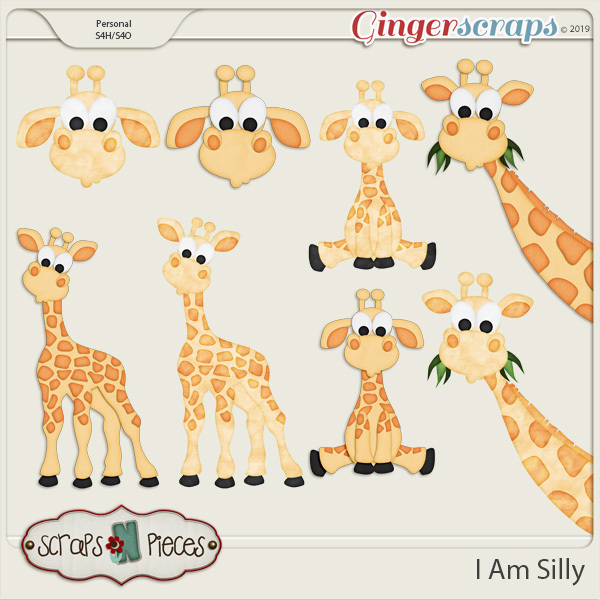 You can buy the following items individually as well: alpha, cardstocks, papers, elements, template pack 49, CU giraffe template pack.